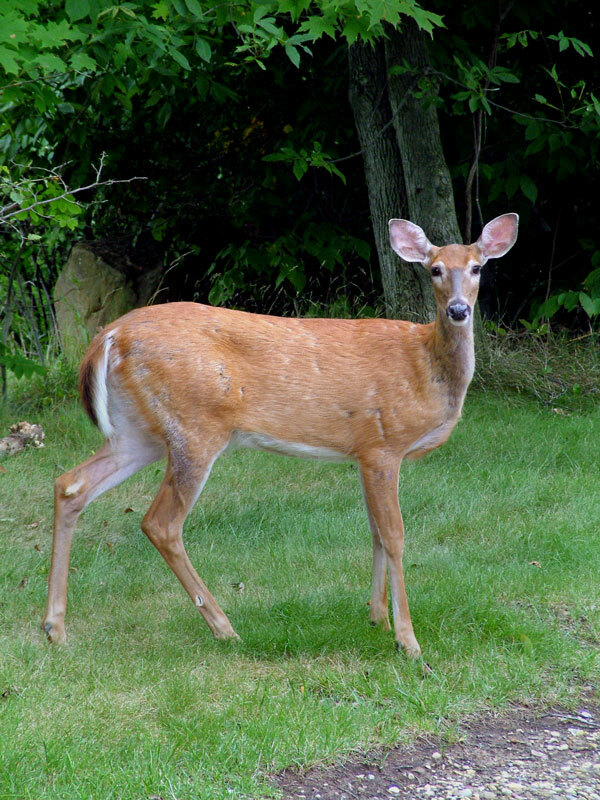 Lately I've noticed the deer coming closer to our homes, later in the day than ever before. I spotted these at about 11:00 AM. 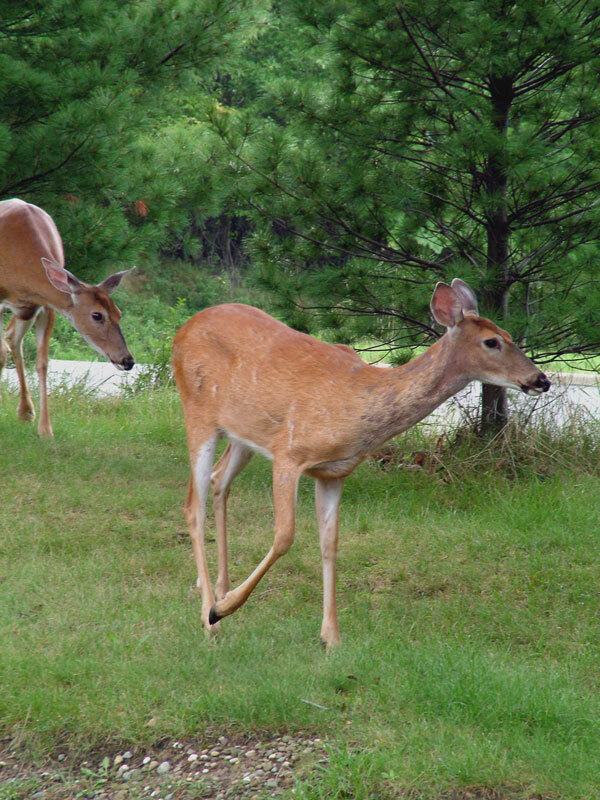 I'm sure loss of local habitat to development is driving the deer to do this … they've got to eat! Interestingly, and potentially unfortunate for the deer, the animals pictured here actually approached me as I was shooting the photos! Had I been shooting bullets, it would have been nearly point-blank — these guys were only about 20 feet away! I live about 10 miles west of Boston and while going to pick up my wife from work saw a coyote (in broad daylight) on someone's front lawn. We used to see lots of wild turkeys near my wife's office. Now I think we know why we haven't seen them lately.